RAPID CITY, S.D. 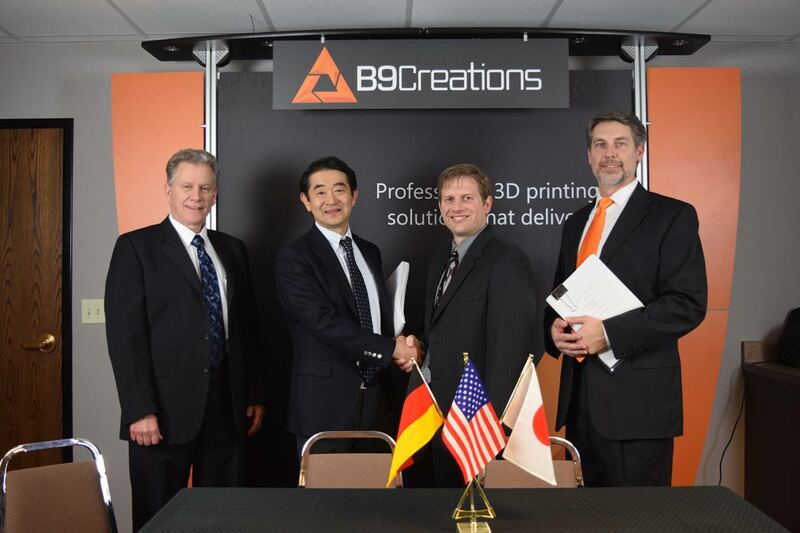 (March 23, 2018) – B9Creations, a global provider of 3D printing solutions, has received a minority investment from Mitsui Chemicals (Tokyo: 4183), a Japan-based company owned by the Mitsui Group conglomerate that counts Toshiba and Toyota among its companies. As an integral part of Mitsui’s Healthcare Division, the partnership positions B9Creations as a market leader in the dental and healthcare industry. “This investment enables B9Creations and Mitsui Chemicals to strengthen our dental technology and materials business globally, enabling increased productivity in dental labs worldwide while improving the quality of life for our customers, and those they serve,” said Shon Anderson, B9Creations CEO. In 2017, B9Creations partnered with Mitsui’s dental subsidiary Kulzer to launch the cara Print 4.0, a 3D printer developed by dental experts and powered by B9Creations technology. With this investment, B9Creations will leverage Mitsui’s global leadership in other healthcare materials fields such as vision, medical and robotics to bring its additive manufacturing technology to new applications. B9Creations provides 3D printing solutions in high-precision applications such as jewelry, prototyping and manufacturing, research, medical devices and model making. It serves customers and dealers in 66 countries worldwide. Mitsui Chemicals, Inc., provides solutions for the future centered on Mobility, Healthcare, Food & Packaging, Next Generation Businesses, which covers the development of solutions in an energy, agri-system, medical, IoT, and related fields, and Basic Materials, focusing on petrochemicals and basic chemicals. Find us online at group.mitsuichemicals.com/.